Employees that exercise are more motivated at work; they have more energy, take fewer sick days, and perform better while on the clock. We don’t know a single company owner who wouldn’t want employees like these; not to mention sizable deductions in health insurance. Anywhere Fitness helps companies like yours rise above the competition and decrease turnover rates by facilitating a healthier, happier work environment. By creating a team-oriented atmosphere and instilling value in your employees outside of a paycheck, you will witness an increase in work ethic and dedication. If you’re thinking this sounds great, but you don’t have the proper facility to offer fitness options to your employees, we're here to help. Until now, corporate wellness programs were limited to larger companies with in-house fitness facilities. With Anywhere Fitness, no matter the size of your company, you can offer a valuable wellness program to your employees. 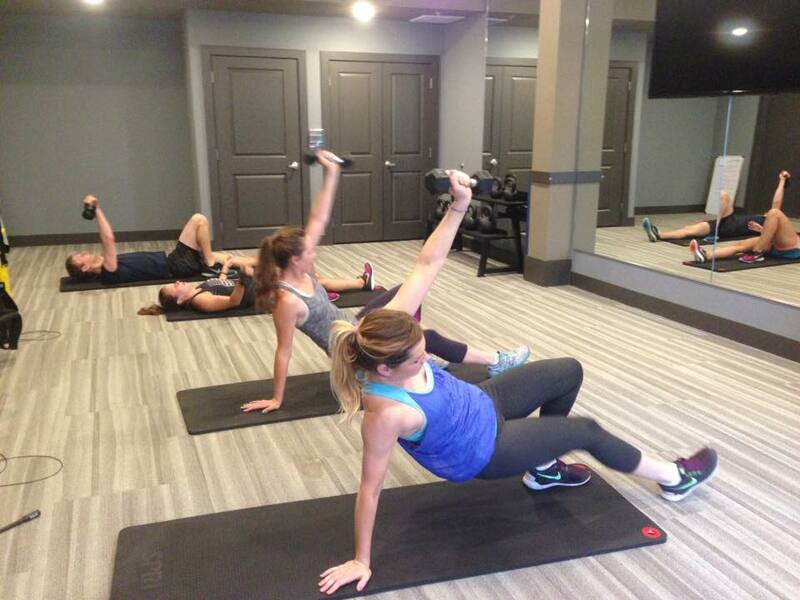 Anywhere Fitness is a full service fitness concierge that travels to your place of business. Our mobile team of trained professionals comes right to you to conduct fitness evaluations, health-risk screenings, and group fitness classes on-site. Anywhere Fitness will provide the instruction and equipment, you just provide the space.